Kym began training at Rob Dobson Karate in Salisbury, SA at 16 years of age in January 1972 and was graded to Shodan in December of 1980. For 13 years he fought in “contact” rules tournaments then in 1986 continued on as a judge and referee and sat on several committees. In 1988 while running the karate club he also became a student of Jishukan Jujitsu with the Queanbean RSL Judo Jujitsu club and also judo for a short while. In 1993 a panel of martial arts peers, linked with his retired Sensei, Rob Dobson, graded him to 3rd Dan in Jujitsu. In 1995 Kym became vice president of the S.A.J.J.A. He closed the karate club and focused on jujitsu with his new club, St Jays Freestyle Jujitsu, which still applied the principles of Szlagowski karate taught by his Sensei. In 2004 he re-opened the club and renamed it Jinen Karate Jitsu in line with the history and lineage of his style. He has held executive positions on several committees over the years including the International Budo Federation, Australia. Kym has completed the Coaching Principles course with the Aust. Sports Commission, holds a current National Police Certificate, First Aid Certificate and an IBF Senior Teacher Diploma in the Budo discipline of Karate Jitsu. Having trained continuously since 1972 he continues to support seminars here and interstate that promote good martial artists, philosophies and integrity in martial arts. Since joining the IBF in 2007 he has had many successful training days in SA and other states. He also held the South Australia’s largest gathering of “multiple styles” for Kevin Walsh’s “Fight for Life“ fundraiser. Over $6000 was raised in SA for that cause. Terry began his martial arts journey in judo 1968 at the Highbury Judo Club, under Sensei John Ward and trained in most arts available. He has competed in Judo, Jujutsu, BJJ, Wrestling, Pro Boxing, Shooto and Vale Tudo events and is now part of the MMA coaching team. In 2004 as part of the Australian team for the AKJA he won the Bronze medal in Osaka in the veterans section. John commenced Judo when he was seven years of age in Algester YMCA, Brisbane. He immersed himself in Judo from his very first lesson. He continued in the martial art after moving from Queensland to Victoria as a child. Over the years he studied under Sensei Dando, Sensei Todd, Sensei Augustinick, and the late Sensei Moorshead. During his Judo career he travelled all over the world practising this wonderful martial art, but has always strictly followed its Japanese origins. He studied in Japan consistently over the years, and has trained under Japanese Sensei Koji Komuro. He received his 4th Dan (Yondan) from Sensei Komuro, a past world champion Judoka, senior Kodokan instructor, and published author of the art. In his personal career he won many state and national championships in Judo, and in the recent years BJJ in both gi and no-gi. He is now a qualified judo blackbelt with all major organisations of the art, including the IJF, the JFA, the AKJA, the AJU and now the IBF. In advancement of the art he conducts judo seminars all over the Australia, as well as in Japan on a regular basis. 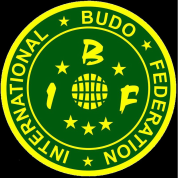 He is honoured to now be appointed the Australian branch director of the International Budo Federation Judo Department (IBFJD). It is his intention to promote the art of Judo, in-conjunction with the IBF, honouring its Japanese roots back to and beyond its founder, Dr. Jigaro Kano, through the IBFJD. Peter is Chief Instructor of San Go Ichi Ryu Ju-Jutsu. He Commenced training in Ju-Jutsu in 1990 at the Ipswich PCYC with Sensei Mark Haseman, Also training at the Lang Park PCYC and later at the Hills District PCYC, where he still teaches 2 nights a week, 25 years later. He began teaching Ju-Jutsu in 1995 and has deep experience in all aspects of Ju-Jutsu from modern sport forms (where he competed from 1990 to 2007) to the ancient forms of the art (kenjutsu and bojutsu). He has held leadership positions in several martial arts organisations, including the International Budo Federation - Australia, As a secondary school teacher with more than 26 years’ experience (as of the time of writing in 2018) he is well equipped to articulate various training programs. He has maintained a passion for teaching and learning the martial arts (primarily Ju-Jutsu but also Aikido, Karate and Arnis) and is on the mat 6 days a week teaching and learning. He has attended, organised and runs annual competitions and interdisciplinary seminars supporting various charities. 2016 he was awarded the 20 Year Service pin by the Queensland Police Citizens Youth Club for teaching Ju-Jutsu at the Hills District PCYC for 20 years continuously. Dr Nigel Farrier has been studying the martial arts since1990. He started with Shotokan Karate and obtained his Shodan. Kanazawa Sensei, Murakami Sensei and Shotokan Karate International Australia are some of those who gave the grading recognition. Later he discovered Jujitsu and kobudo (weapons) and began a study of the Bo and Sai initially and expanded to include bokken and sword along with the nun chaku, tonfa, kama, eku, nunti and others under the Matayoshi system. He has travelled to Okinawa several times to study at the Matayoshi Kodokan with the current head Matayoshi Yasushi Soke. Sensei Nigel is well recognised within the martial arts community here in Australia was inducted into the Australasian Martial Arts Hall Of Fame in Hobart 2013 and nominated in 2015 for membership in the Dai Nippon Butoku Kai. He travels regularly to teach at various events around Australia, the UK and USA to teach and train at seminars.